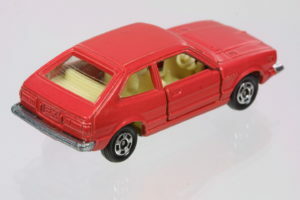 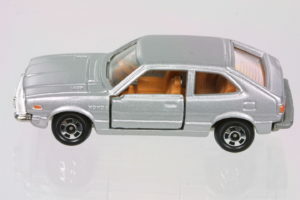 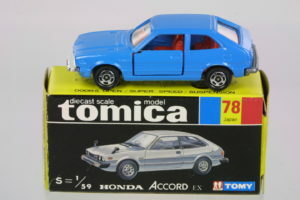 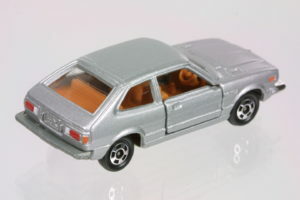 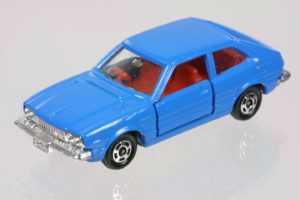 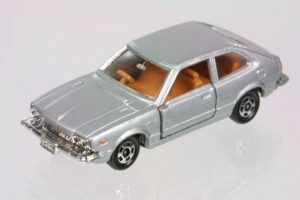 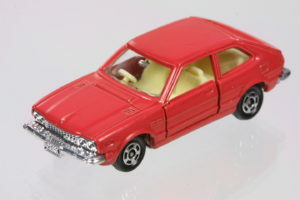 Tomica released the G1 Accord hatchback in various colors. 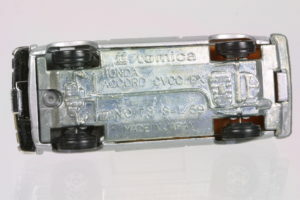 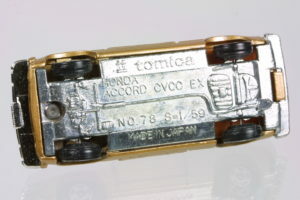 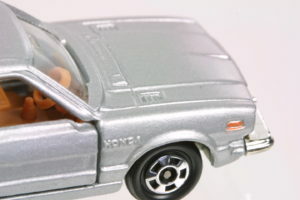 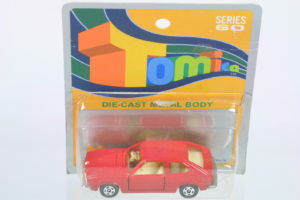 Details in the casting are typical of that era for Tomica but much better than Hot Wheels of that vintage – in fact, maybe even that today with the exception of tampos. 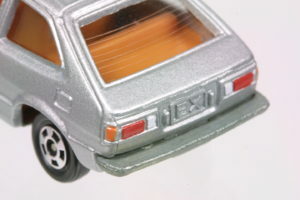 The opening doors and quality of plastic chrome is quite incredible given the lack of tarnishing a couple of decades later. 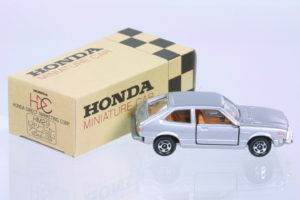 Compared to other Hondas in the Tomica line, there aren’t as many variations or factory special editions of this car. 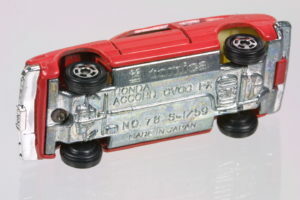 Originally made in Japan, the later issues were made in China. 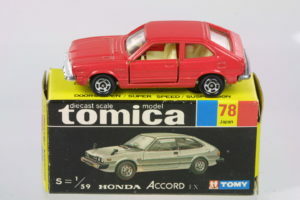 The original issue Accord hatchback in red from a black/yellow box. 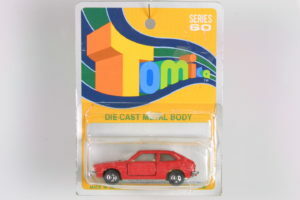 Here’s an Australian package from the Coles department store. Here is the blue one with the red interior. 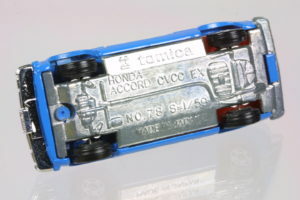 This blue accord normally comes packaged in the Pocket Cars blister but one appeared in a regular black/yellow box. 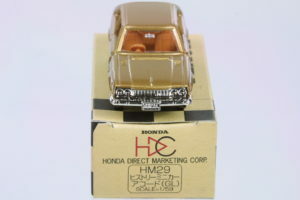 Here is a rare gold one from Honda (HM29GL), packaged in a brown Honda checkered box. 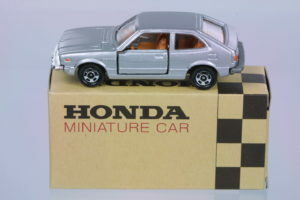 This is another Honda issued Accord Hatchback in Silver with the additional detail.